Sadiq Khan officially launched Breathe London on Tuesday, in a quest to take bold action to address the affects of air pollution. Cllr Richard Livingstone, cabinet member for environment, transport management and air quality, joined the Mayor of London at Charlotte Sharman School in West Square, Lambeth, to launch the project. Breathe London is a data-driven initiative that shares Southwark’s approach to improving air quality by measuring the problem, sharing knowledge and taking measurable and effective action to reduce it. Breathe London is launching with the introduction of eight air quality monitoring sensors in Southwark. These, along with another 92 new sensors across the capital, will help add to existing data that illustrates the air pollution problem in London. 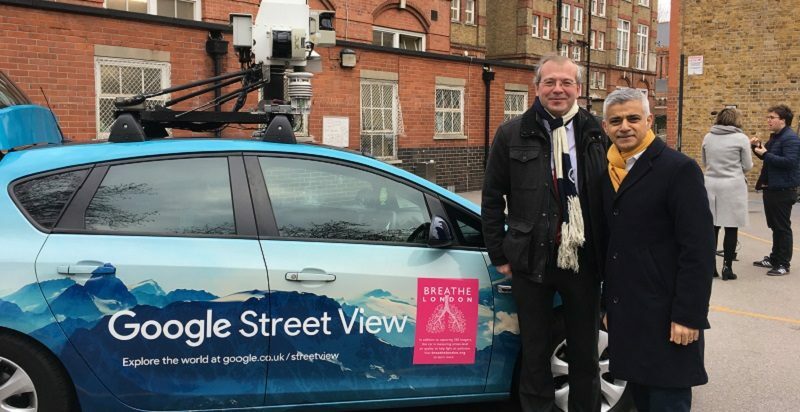 Further to this, two Google Street View cars will spend a year driving around the city, measuring air quality every 30 metres. This will add to the air quality data that the council already has, and highlight previously unmapped pollution hotspots. Cllr Richard Livingstone said: “Today’s launch will support our rigorous monitoring of local air and the many council actions, from banning engine idling to closing roads outside our schools, that we’ve introduced since launching our ambitious new Air Quality Strategy in 2017.